In a landmark decision, Australian federal and state food ministers have agreed that hemp seed food will soon be legally available for consumption. The Australian and New Zealand Ministerial Forum on Food Regulation approved the move, at a Council of Australian Governments (COAG) meeting in Adelaide last Friday. 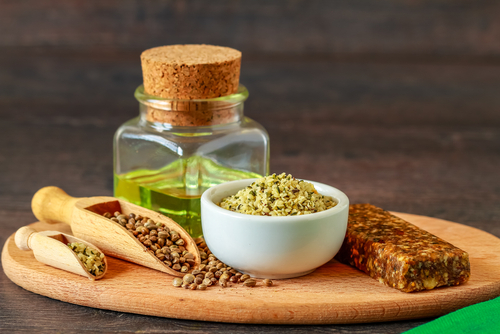 The decision comes in the wake of a Food Standards Australia and New Zealand meeting in March that gave the green light for the sale of foods derived from hemp seeds that are low in THC – the psychoactive component of the cannabis plant. A communique released after the COAG meeting outlined that the ministers had received a Swinburne University of Technology report regarding the consumption of low-THC food and the effect they could have on roadside drug testing operations. The report found that it “is highly unlikely” that the consumption of hemp seed food would result in any positive saliva, blood and urine tests. “In light of these findings ministers supported the draft standard that will allow low-THC hemp seeds to be sold as a food,” the communique reads. The change is expected to come into effect in six months, in both Australia and New Zealand. A range of state and territory legislation that currently outlaw the sale of the food will need to be amended. This will open up the international hemp seed food market, which is estimated to be a billion dollar a year industry. Up until last Friday, Australia and New Zealand were the only countries in the world where the consumption of hemp seed food was prohibited. Under standard 1.4.4 of the Australia New Zealand Food Standards Code, all species of cannabis have been prohibited from being added to or sold as food. Hemp seeds are produced by the hemp plant, which is low in THC. While both marijuana and hemp are strains of Cannabis sativa, hemp has been specifically cultivated to produce industrial fibre, oils and seeds. You can smoke hemp till the cows come home, and it won’t get you high. Hemp seed foods are widely available throughout Europe and North America. In the States, the consumption of hemp food is legal but the production is not. Australian producers see this as a lucrative market to step into. Currently, China is the largest hemp seed producer in the world, followed by countries such as France, Canada, South Korea, the Netherlands and Chile. Hemp seeds are said to be the most nutritionally complete food source in the world. They have a balance of omega 3 and 6, along with Iron, Vitamin E and all of the essential amino acids. They’re high in protein, and can be eaten whole, pressed as an oil or ground into a powder. The seeds can produce a variety of different foods. They can be eaten as a grain as part of muesli or cereals. They can be used to produce non-dairy milk and ice cream. And they can be added to a wide variety of different meals to reap their nutritional benefits. So then why are hemp seeds illegal in Australia? Well according to Mr Kavasilas, unlike marijuana and its products, hemp was not prohibited under the various United Nations drug control conventions. It’s continued to be utilised in countries like India, China and Russia. However, it was the United States that banned hemp in the early twentieth century. This was done amidst the “reefer madness” anti-marijuana hysteria of the time, and many believe it served the interests of big business to be rid of the versatile plant. The US ban influenced other western nations to follow suit. So what we’re seeing now is the reintroduction of industrial hemp in the western world. The Australian hemp industry has been campaigning for hemp seed food to be legalised for decades. However, authorities have been hesitant to allow this to happen, over concerns the low-THC foods may interfere with the results of roadside drug testing programs. The problem with roadside drug testing in Australia is that a positive reading can be registered for tiny traces of certain drugs in a driver’s system. Along with THC, police test for MDMA and amphetamines, via a saliva test. When police carry out random breath testing for alcohol, they’re testing for levels of driver impairment – hence the categories of low, mid and high range drink driving. This is an approach based on research that’s shown certain levels of alcohol in a driver’s blood lead to increased risks when they’re behind the wheel of a car. However, roadside drug testing does not test for impairment. As it was announced at the COAG meeting, the Swinburne University report said it was “highly unlikely” that someone who had been consuming hemp seed food would test positive for roadside drug testing. But, there have been cases in the past where an individual has been charged with drug driving, and the driver has claimed that they hadn’t been smoking marijuana, but rather they’d been eating hemp seed products. Mr Kavasilas agrees that it’s unlikely that traces of THC in hemp seed food would show up in police saliva tests. But he said that if it did happen to detect the traces, “it’s highly likely” that a supplementary laboratory test would show up positive. An Australia 21 report on drug decriminalisation released in March this year, recommended that the roadside drug testing programs be reviewed, as “the purpose of such testing should be to ascertain whether the driver is unsafe or unfit” to drive, not to see whether they’d consumed an illicit substance. Until a program that actually tests for driver impairment is introduced, it would be advisable that THC is removed from roadside drug testing, and then people can go about eating their highly nutritional hemp seed food products without concerns about testing positive.